At Miles Continental, we have the benefit of being able to provide you with a range of competitive finance options, so that we can source the perfect fit for your needs and lifestyle. We’re all about transparency; ensuring that you leave us nothing but confident in the finance plan that we’ve put together for you and your new vehicle. Our range includes motor vehicle finance, leasing, insurance and warranty products, both through our authorised relationships with Volkswagen Finance Services and ŠKODA New Zealand, and through our third party lenders. Finance is available for all vehicle makes and models regardless of whether you’re purchasing your vehicle from us. Found a great vehicle at another dealership or via a private buyer? Speak to us about arranging finance; we have very competitive rates and packages available and there’s no cost involved in exploring your options. Utilising one of these products will allow you to realise your motoring dreams sooner rather than later. We find a large portion of our valued customers prefer to pay for their vehicles out of cash flow as opposed to cash reserves. Please read on to see some of the features and benefits that Finance from Miles Continental can provide. 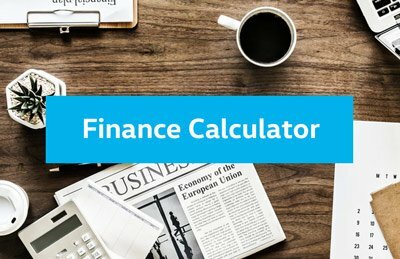 Use our Finance Calculator as a guide to work out your repayment amounts and final payment date based on various interest rates, and then get in touch with us to confirm the details. We will tailor a package based on the client’s requirements and budget. Options are available for both private and business purchasers. A Credit Agreement is one of the simplest and most popular ways for many motorists to finance a new or used vehicle. A Credit Agreement enables you to place a deposit towards the contract, either as cash or by using equity in your current vehicle as a trade-in. Flexible terms are available including the option to have a balloon amount (larger final payment) built into your contract giving you the ability to tailor the repayments to best suit your budget, as well as your vehicle trading cycle. The advantage of a Consumer or Business Lease is that it enables you to structure the contract by selecting a term, and you agree to a suitable residual value with us. This allows you to tailor your monthly payments to suit your budget. The residual value risk is carried by you. Since the payments are fixed and known in advance, you have firm control over your vehicle budget. After the lease period is over, the vehicle is returned to Miles Continental. You then have the option to take out a new lease and upgrade your vehicle to the latest model. This flexible leasing plan for business users offers possible tax benefits while improving cash flow. Exclusive Automotive Finance offers a Non Maintained Operating Lease on new and selected demonstrator vehicles, while we can also secure a Fully Maintained Operating Lease through either Volkswagen or ŠKODA Finance. An Operating Lease can best be described as a long-term rental arrangement based on a term and specified kilometre allowance. An Operating Lease allows you to easily budget your vehicle expenses, and your monthly rentals are fixed over the term of the lease. All Volkswagen and ŠKODA Operating Lease vehicles come with the peace of mind of either Volkswagen Roadside Assistance or ŠKODA Roadside Assistance – a 24 hour program that can help you out when you need it most. All servicing is carried out by our professional Volkswagen or ŠKODA trained technicians using genuine parts where applicable. A Non Maintained Operating Lease allows you to take care of the service and maintenance costs as and when they occur, rather than having them included in your monthly rental. Under an Operating Lease the vehicle is treated as an off balance sheet expense so frees up your working capital. After the lease period is over, the vehicle is returned to us. You then have the option to take out a new lease and upgrade your vehicle to the latest model. When considering the above finance & leasing options, we recommend that you seek independent financial / legal advice based on your individual circumstances. Further information can be obtained relating to these products along with their relevant fees and charges by visting the European Finance website. Volkswagen Finance, ŠKODA Finance, and Exclusive Automotive Finance are an operating division of European Financial Services Limited. As well as those provided by European Financial Services and Volkswagen Finance, in order to provide you with a wider range of competitive options, we are able to provide you with finance options from trusted suppliers, such as Marac, BNZ, Alphera and UDC. Miles Continental is an authorised lender of UDC finance products. Contact us for more information on any of these products. All rates and fees for any associate lenders are available upon request. Our finance facilities are available every day. Should you want to discuss the options available, please contact our Business Manager, Jared Syme, on 03 377 7144 or via our contact form below. Of course, you’re also welcome to drop-by the dealership at 70 Tuam Street. We look forward to seeing you. Complete the form below if you have any questions regarding vehicle finance, insurance, warranties and other protection products, or call us today on 03 377 7144. Optional: complete the below if you already know the details of the vehicle that you would like to purchase, otherwise skip this section and jump to the bottom.